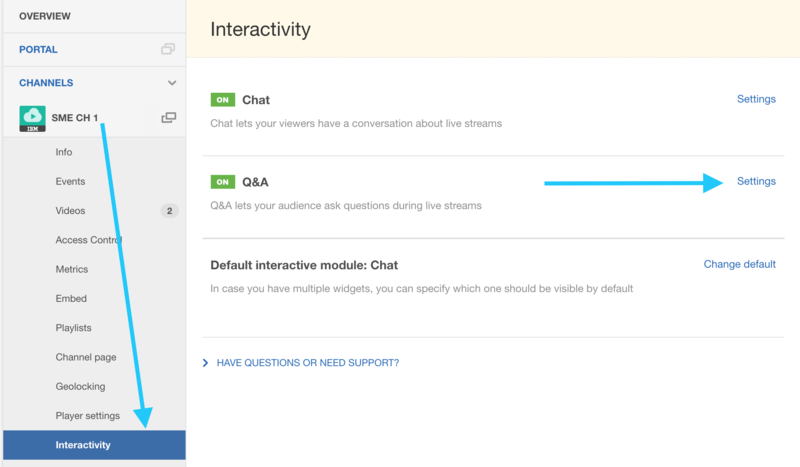 With a Video Streaming or Enterprise Video Streaming plan, broadcasters can assign another user as a co-moderator to help direct the conversation on their Q & A module. Only one co-moderator can be assigned per channel, but the account owner and any channel managers for the channel will also have moderation powers available. To enable pre moderation, first navigate to your IBM Video Streaming dashboard, and choose the channel you wish to enable this feature for. Select Interactivity and navigate and click settings on the Q&A feature. On this same page, you can also assign another user to act as co-moderator along with the broadcaster for cases of larger audiences. 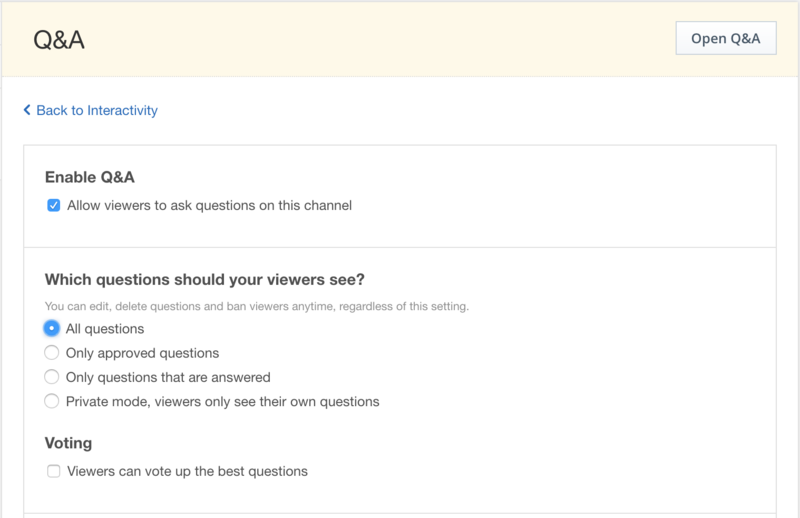 You can also allow viewers to vote on questions that they would like to see answered, in cases where all questions are shown to the viewers. After making any changes, be sure to click save. The moderator can then choose to approve, edit, or remove the question. Once a question has been approved, it can then be answered by a moderator. 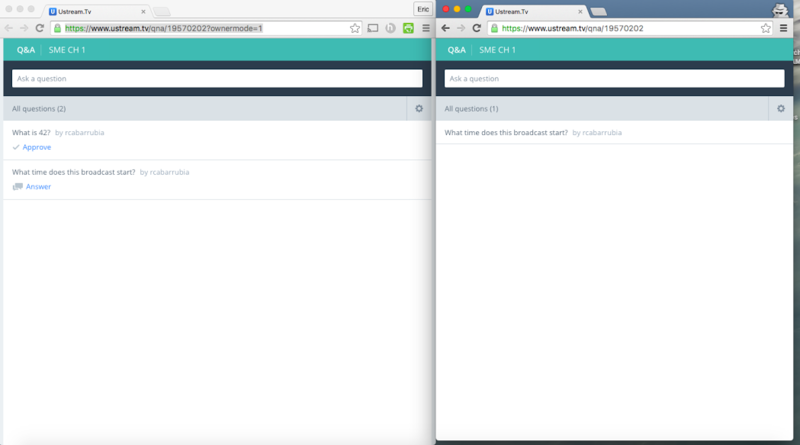 This shot shows two views: the view on the left is of the moderator's screen, which shows a question that has not yet been approved but has not been answered, and a question that has not yet been approved. The shot on the right shows a viewer's screen- they can see the approved question, but not the unapproved question.